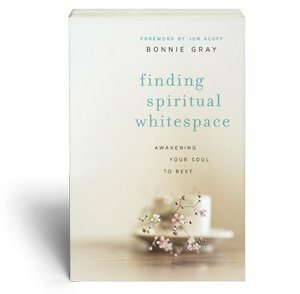 BONNIE GRAY is the author of Whispers of Rest and Finding Spiritual Whitespace. Bonnie loves encouraging women to experience deeper intimacy with God and refresh the soul with His love and rest. She guides women to live inspired, detox from stress and celebrate their calling as the beloved. An inspirational retreat speaker, Bonnie touches thousands of lives helping women through topics of soul care, stress recovery, and emotional healing through storytelling, visual arts, nature, prayer and meditation. Bonnie’s powerful writing is featured on Relevant Magazine, KLOVE, (in)courage, MOPS, and Christianity Today. 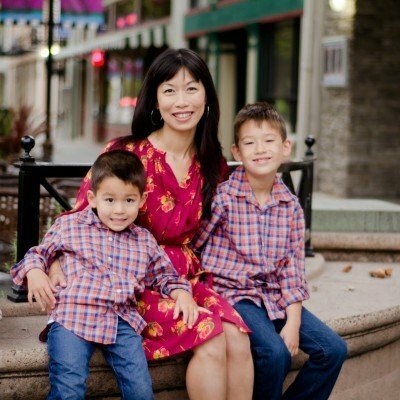 She lives in California with her husband and their two sons. Follow Bonnie @thebonniegray Facebook and Instagram. Pull up a chair and enjoy free soul care videos, encouragement, and podcasts. My name is Bonnie Gray and I’m the writer behind Faith Barista. 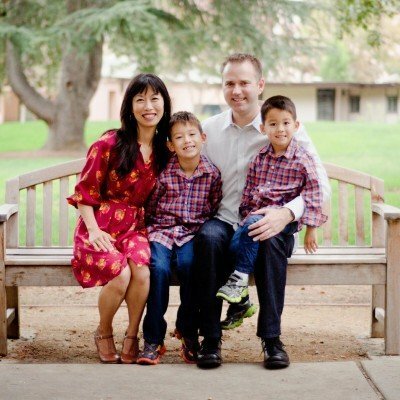 I’m a native Californian living in the heart of Silicon Valley, where I watch the sun rise and set in the eyes of my husband Eric and our two boys Josh and Caleb. Rain or shine, I live for the moments I get to write, hovering over my keyboard, fascinated by a passion to uncover stories of faith in everyday life. I am lauched Faith Barista, serving up shots of faith for the daily grind. I’m a featured writer for DaySpring’s (In)Courage and Relevant Magazine. I was named by Publisher’s Weekly as one of the top 6 new religion authors in 2014. My blog Faith Barista is syndicated on Crosswalk.com and iBelieve. My writing is nationally published and spotlighted in Christianity Today, Catalyst Leadership, Today’s Christian Woman, and McClatchy-Tribune News Services. 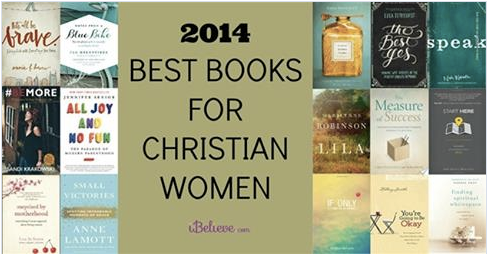 My book Finding Spiritual Whitespace was named by Crosswalk.com as one of the Best Books for Christian Women in 2014. “This is a soul-stirring book that takes you on a journey to make space in life to nurture your heart with God and dream dreams in new ways. This book will give women permission to yes to God, practical ways to say yes to rest and find the spark in their hearts again.” – Kelly Givens, editor of iBelieve. Let’s gather our stories — the ones that make us tender with dreams, real with tears, curious with questions — and refresh each other with conversation. Your journey is worth sharing. As is. And because faith is as mysterious as it is real, we need each other for this journey. Because sometimes, we need a double shot of faith. Stay awhile. Pull up a chair and swap some stories at Faith Barista. Together, we become kindreds on the journey of faith. One brew at a time. I believe life is a journey and our stories are the greatest gifts we can live out and offer to each other – especially when they go off script. The writing featured here is handcrafted. Just for you. To feed your soul with whitespace: long-format stories that focus on faith and community, thoughtful interviews, curated articles that inspire a restful, rejuvenated life, writing prompts and inspiring quotes to find your voice, and connect with God deeply. Take some time to explore the site. be you. be inspired. breathe. Our lives are never ordinary, no matter how things appear. The inner life is where real life happens. where faith becomes fresh and new again. This inner life is what I’d love to journey into. Will you share yours with me? I will share mine with you. 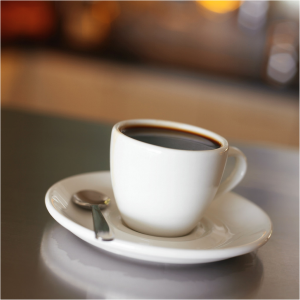 Get free updates of Faith Barista sent directly to you! Subscribe via email or RSS feed. Also feel free to connect with me on Facebook, Twitter, and Instagram. So, what do you do when you’re not writing at Faith Barista? Doing family and friends stuff like hanging out at coffee shops, parks, kids bday parties, breakfast joints and sandwich shops, running errands, going to Safeway, Target or trying to get rid of junk (I’m a recovering pack rat!). Piles of books, non-fiction mostly about spirituality, God, the Bible, parenting, marriage and relationship, and magazines. Thank you cards to write and water bottles to keep me hydrated. Hanging out with my best friend, Hubby, love of my life. Eric and I are both from the 80′s, love John Candy, OMD, stuffing ourselves with popcorn at the movies, hitting the beach and having coffee with pastries. Wrangling my two boys, Josh and Caleb. Josh is my ten-year-old son who fires up a bazillion question per hour, kind-hearted observations and steals my heart everyday. Caleb is my seven-year-old cutie who sweetens my heart with honey with his heart-melting hugs, his penchant for stories, singing and butterfly kisses. Faith is a topic that is my sold-out passion. It’s been many moons since I first became a Christian. Even though I’ve got some mileage on me (you see the wrinkles? ), I am still fascinated by the challenge to keep faith hot and fresh. I want to know how people keep that fire of faith lit when it’s a flickering wick and how to feed it when it’s embers are quietly burning. 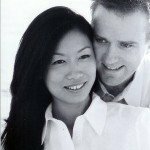 I started this blog to share my faith experience, and in the process, find others to learn about theirs. Why did you choose the name “Faith Barista”? I love the idea that I can be “barista of faith”, because we are all apprentices, learning the skill and art of walking by faith. We learn from the master craftsman of faith, Jesus Christ, who serves up just what we need for each day’s journey. In turn, we can be a priesthood of faith baristas, offering one another encouragement to live out our faith. Now, that’s exciting!